Is it Crawfish or Crayfish? Well it doesn't matter, both terms describe the same delicious crustacean that we all love to catch and eat. However, not all traps are the same! Trapper Arne has been catching crayfish for decades using the same traps offered here. 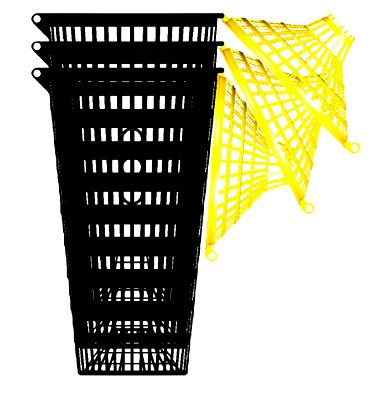 All of our traps have been proven to be highly productive and long lasting. 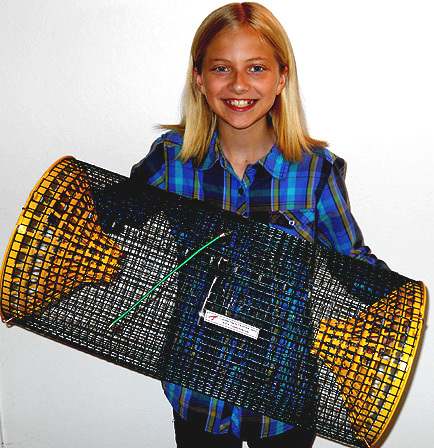 Join the thousands of satisfied customers that are now using Trapper Arne traps for the upcoming 2019 crawfish season. 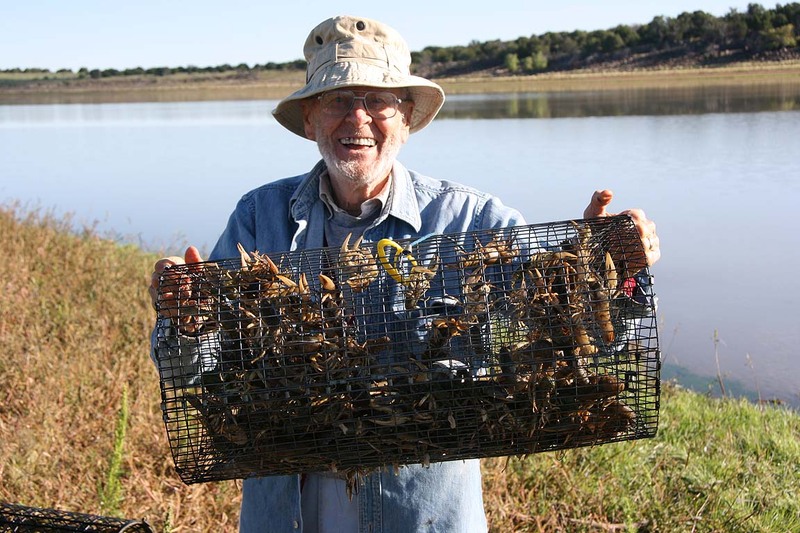 Here is Trapper Arne's web site about crayfish, the low carb, Omega 3 rich, organically grown protein food. I'll introduce you to a fascinating hobby, the hobby of catching, cooking and eating crayfish. I will also cover the biological topic of crayfish as well as some historical. But most of my web site will show how to catch this free, interesting and nutritious source of food that is abundant in so many of our states in the US. 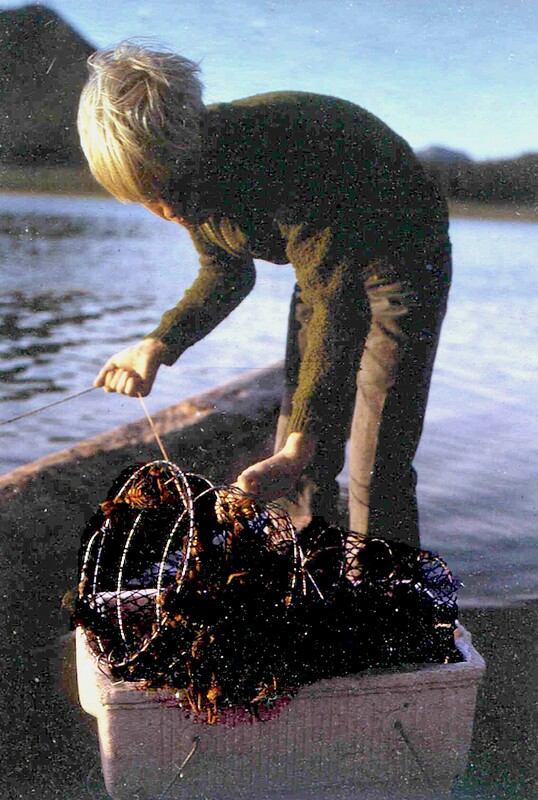 A young Trapper Arne Jr. trying to unload a heavy Jackpot trap full of crayfish. See what happens when you pull up a Trapper Arne trap !! You'll find the topic of crayfish divided into several subjects on the menu bar above. Click on any of the menues to go to that subject. There are individual pages with details of each type of crayfish trap we offer. Stackable Trappy XL Crayfish Traps. See more about Trappy XLs Here.